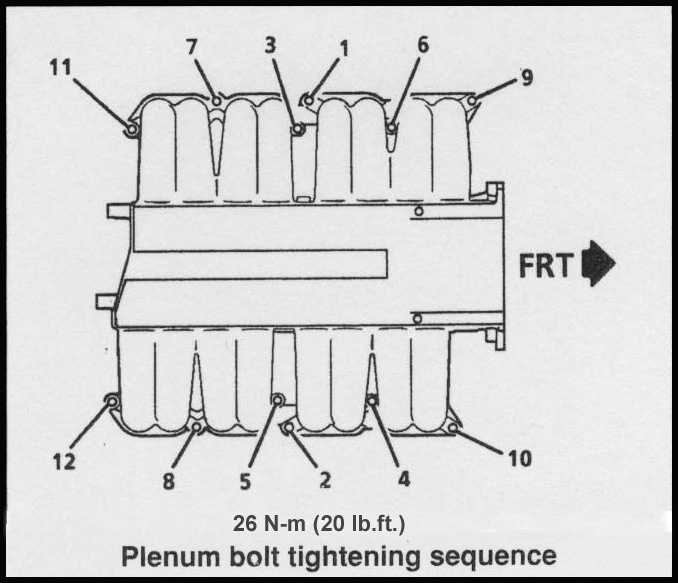 Plenum Gasket "Thick 3/64" Set . Fits 90~95 ZR-1 LT5. Sold by the set which contains 2 individual gaskets as shown. Better suited for applications where mating surfaces may be less true or damaged by porting, welding or Dinged, marred or improperly cleaned mating surfaces. Re-use of gaskets is not recommended, but because this gasket is 50% thicker than the standard 1/32" gasket, it is more resistant to being damaged if the plenum is removed again. 50% thicker than our standard 1/32" Plenum Gaskets. Direct replacement on stock, un-modified engines. oversized gasket port size does not affect function or engine operating characteristics. Port size increased to 37.5mm for modified, ported intake. For siamesed porting, simply cut out the center bifurcation. 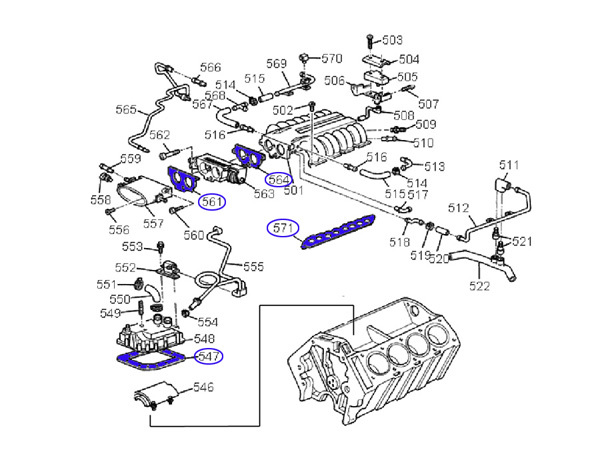 Coolant flow for throttle body heat can be enabled or blocked by simply orienting the gasket as desired. Gaskets are die cut to exact dimensions taken from GM LT5 engine drawings. Port alignment may vary slightly due to core shift when parts were cast. Made from Pro-Formance/MicroPore, non-asbestos gasket material with a fully cured nitrile butadiene rubber binder, 12~20% compressibility for excellent sealability and a max temp rating of 550F. These die-cut precision gaskets, are made exclusively for Jerry's Gaskets, utilizing original engine drawings for dimensions. See part #571 in the diagram. Click the button below to add the Gasket Set, Intake Plenum (3/64"), 90~95 [7.5D3] to your wish list.